A series of public presentations beginning Feb. 7 will address diversity in natural resources management at the University of Wisconsin-Stevens Point. The 2019 Spring Seminar Series, “Expanding Our Reach in Natural Resources Management,” is sponsored by the Wisconsin Center for Wildlife at UW-Stevens Point’s College of Natural Resources. It will be held throughout the semester “as a catalyst for constructive conversation and positive change,” said Professor Scott Hygnstrom, the center’s director and Douglas R. Stephens Endowed Chair in Wildlife. Each presentation will be held from 4-5 p.m. on selected Thursdays in Room 170 of the Trainer Natural Resources Building, with a reception to follow. The public may attend free of charge. 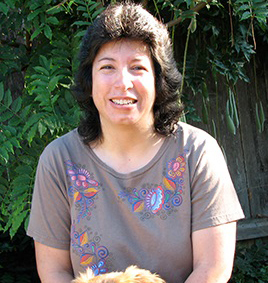 The first presentation on Feb. 7 is “Challenges to Equity and Inclusion in a Field that Breathes Biodiversity,” featuring Dana Sanchez, an associate professor and Extension wildlife specialist at Oregon State University. She has researched mammal response to habitat changes and in workforce diversity and equity in the wildlife discipline. · Feb. 14 – “Improving Engagement of Woodland Owners in Wisconsin,” by Steve Swenson, conservation director at the Aldo Leopold Foundation, Baraboo, Wis.
· Feb. 21 – “It’s Kinda Fun to do the Impossible: Finding Community Abundance Through Sustainable Design,” by Ken Leinbach, executive director of The Urban Ecology Center, Milwaukee. · March 14 – “A New Culture of Conservation — Misunderstanding a Generation,” by A.J. DeRosa, the founder, creative director and filmmaker with Northwoods Collective, New Durham, N.H.
For additional information on speakers and their presentations, go to www.uwsp.edu/cnr/WCW/Pages/2019-Spring-Colloquium.aspx.